CrossFit J19 has come a long way in a short time. Staci and Kelly Olcott started training clients in their house. When demand grew and there were more people wanting to learn then they could handle at once in their house, they realized it was time for some new space. Over a year ago, they moved to Hoover just off Lorna Road and Rocky Ridge Rd. 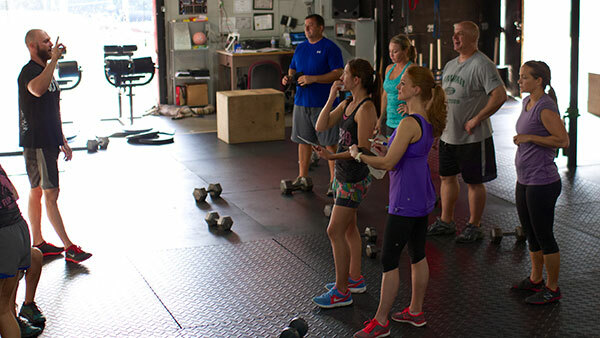 Compared to many CrossFit Gyms, CrossFit J19 is big with everything you need to feel the burn. Kelly, a former U.S. Marine, definitely looks the part of a high intensity trainer who demands results. The one thing that you cannot see by looking at him is his kind and patient nature. 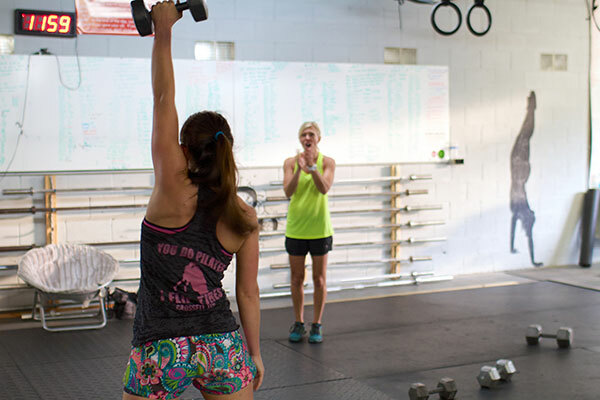 As a "newbie" to CrossFit, only having been doing WODs for 2 months, Kelly is always willing to explain things and hangs with you during a workout making sure execute the movement safely. Staci is the cheerleader of the pair. She is always encouraging you to move, move, move! Which is extremely helpful when most of the time half way through the WOD all I want to do is rest. CrossFit is not one specific exercise, rather a multitude of movements design to overall enhance your health and fitness. CrossFit J19 makes sure you do not do the same thing over and over. As a matter of fact, in my 8 weeks of training 4-5 times a week, I've only seen the same exercise a handful of times. I can attest to the amazing fitness benefits of CrossFit and the committed nature of the Olcotts. WIth out a doubt, if you want to get in better shape, have more energy and be more agile, give CrossFit a try. Just keep in mind, you will be sore in the morning.